InVogueJewelry: Quartz Doublet: What Is It? Tinted GLUE??? "Green Quartz Doublets" or "Emerald Quartz Doublets"
I get Etsy's emails, and they feature stores or items (how they're chosen is anyone's guess!). Today's "finds" had a lovely pair of earrings that looked like emeralds (NOT the exact ones pictured above--but very close). So of course I clicked on it! The earrings were $400 and described as "emerald like green quartz doublets" set in plated mystery metals. That seems really steep for earrings, especially set in plated junk metals (not sterling silver) and even though their tags were "emeralds" and "emerald earrings" they were not described as emeralds at all. I've seen, and sold, Opal doublets and triplets. Triplets are slices of actual opal that are sandwiched between onyx and a cap of clear quartz. So opal triplets are true opals plus semi precious gemstones, making them affordable AND real. A doublet is a "cap" of clear quartz adhered to a flat "slice" of opal---two pieces, without the third bottom stone, and therefore a doublet. These are referred to as "assembled stones". The important thing is to disclose that they are "triplets" and I described in my etsy listing exactly what an opal triplet is. Honesty and full disclosure. So, what are "green quartz doublets"? Or any "quartz doublets"? What two stones are used to make this a doublet? Searching the internet, I see these "quartz doublets" are sold OFTEN on home shopping networks HSN.com, and ShopHQ.com (formerly ShopNBC) and other TV shopping channels. So they're plentiful, but not much info available on those sites about the stone. "This doublet is composed of a clear quartz top and bottom; the adhesive that holds the two together provides the beautiful sapphire color." 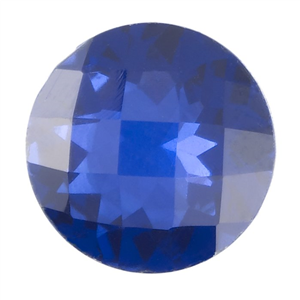 The fact that "sapphire" in this stone is actually BLUE GLUE would account for the cheap price tag. And any other "green quartz doublet" would also be worth next to nothing. RioGrandeJewelry fully discloses what their stones are----it's the only place I trust. Producing consistent green and purple colors in laboratory-grown gemstones can be extraordinarily difficult. Doublets (sometimes called soudées*) allow labs to produce consistent colors by using a tinted adhesive to attach two clear pieces of laboratory-grown spinel. The crown and the pavilion are joined with the adhesive at the girdle. Unless the stone is immersed in highly refractive liquid (such as water), it is impossible to tell that only the girdle zone of a doublet has color. IMPORTANT: Because laboratory-grown spinel doublets are assembled with glue, it is important not to apply heat to the gemstone. To be safe, clean these gemstones using warm, soapy water and a soft brush. *(Note: soudées is French for "welded".) And Rio Grande then provides photos of a quartz doublet submerged in water, which allows you to see the thin layer of colored glue and the clear quartz becomes transparent--invisible!---in the water. "Emerald quartz is created using natural, clear rock crystal or natural quartz and is assembled together with the colored layer in between the upper and lower portion of the stone. This method of assembly is permanent so the color will not fade. The doublet avoids any irradiation and thin surface treatments, like diffusion, that can chip away with time. Compared to common surface treatments, it also preserves the natural crispness of the quartz since the green hue comes from within the stone, thus allowing the gemstone to appear more brilliant and alive. Emerald quartz has a Mohs rating of 7. It can be safely worn on a daily basis and cleaned with regular jewelry cleaners. So they disclose that there is a "colored layer" but they DO NOT say it's glue. 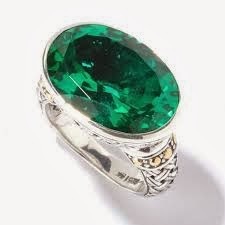 That to me is misleading and disingenuous, trying to make buyers think the "colored layer" is emerald or a gemstone. IT'S GLUE. This explains why this is called a doublet, and not a triplet. A triplet is made by sandwiching a slice of a stone (opal is common) between two layers of stones. In a quartz doublet, there is NO third layer---just glue holding the two slices together. If there were an actual slice of something between the layers, it would be called a triplet. Looking on ebay (note: NEVER buy gemstones from ebay! ), there are so-called "green quartz doublets" and "emerald quartz doublets" for sale for about $40 and less per pair. Now you know that these aren't anything more than GREEN GLUE between two pieces of quartz! 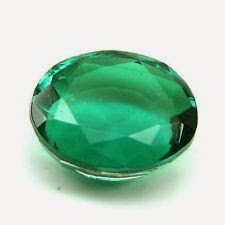 It's interesting to know that the green (or purple, or other color) adhesive causes the entire gemstone to emanate with that color. It's only when the stone is submerged in water that you can see the colored glue layer. So you ARE getting a quartz gem (or spinel!) and the color can't scratch off, so that's a plus. So the "green quartz doublet" earrings that Etsy is promoting are made from GREEN GLUE sandwiched between slices of quartz. Although they are quartz gemstones (as opposed to hydroquartz, or glass) their value is nowhere NEAR the price asked, and actually because these stones are set in plated base metal of some sort, their intrinsic value is very very low. I didn't know about the tinted glue until I researched "quartz doublets" myself (I don't sell them). Is it possible the etsy earrings seller didn't realize what these doublets are? It's possible that the etsy seller didn't realize----ignorance isn't an excuse though, and sellers should always be informed as to what they are selling. And buyers should research stones as well, and make informed buying choices. And now we all know! Yes, it's great to buy beautiful gems if you are aware that they're enhanced or treated, or are created. It's not so great when stones are sold as genuine when they're not! I looked at some of the green quartz doublets at Rio Grande Jewelry and they are really beautiful and I would NEVER have guessed it was because of glue! Fascinating really. I am researching this because I bought some quartz doublets on clearance from Rio Grande a while back and am getting ready to use them. I knew they had some sort of backing on them, but wanted to get a little better understanding myself. Mine look like luminescent blue moons. I think they will make some great cufflinks -- and I won't try to sell them for $400! Haha! Roxanne, the doublets at Rio Grande are BEAUTIFUL! At least your doublets are genuine Quartz, and not that "hydro quartz" which is not a gemstone. I'll bet your cufflinks will be fabulous! And thanks so much for your comment!